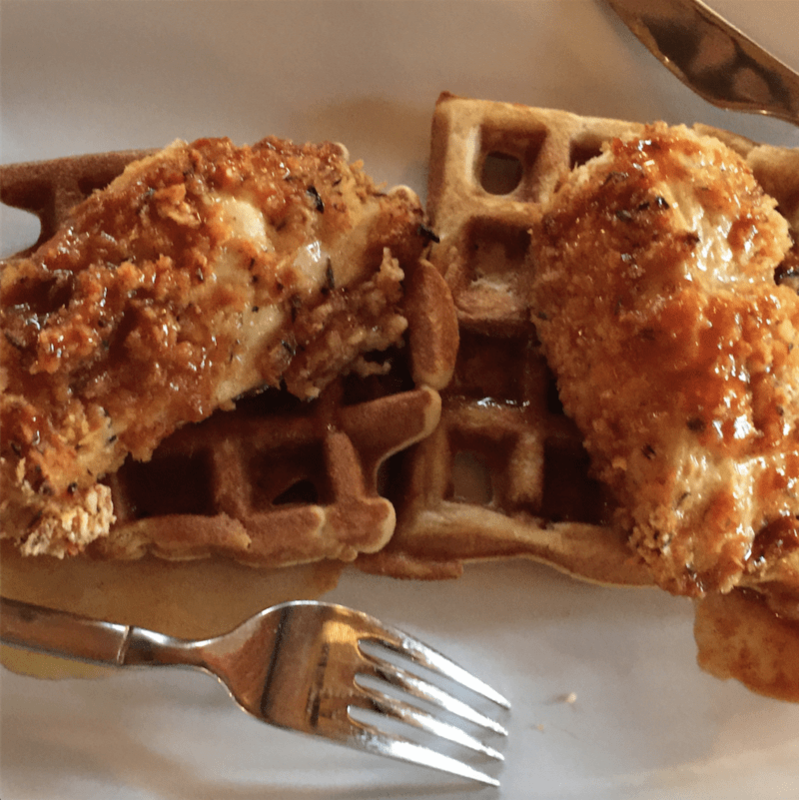 I've never made fried chicken, and although I own a waffle iron, I've only used it once in the last 5 years. But then last week in North Carolina we had some delicious Chicken & Waffles at Beasley's Chicken & Honey, so when I came across a "Grain-Free Waffles" recipe the other day, I thought I might see if I could find a good "Fried-Free Chicken" recipe to go with the "Grain-Free Waffles", and then try my hand at a healthier version of chicken and waffles. Not only did it work, it was delicious! I used regular organic milk for the waffles instead of almond milk, and I used maple syrup where it calls for maple syrup or honey. (3) I used boneless skinless chicken breasts instead of bone-in skin-on breasts, thighs, and drumsticks. Next time I'll kick it up even more with a bit more cayenne and maybe some chipotle in the coating. I served the chicken & waffles with a side of pure maple syrup and a side of Deke's wing sauce (using Frank's Red Hot cayenne hot sauce as a base), and a simple spinach salad with grape tomatoes and avocado. SUPER yum!